Eek, one week to go until we head off on our next adventures and there is still so much to organise, I don’t know where the time has gone. This last weekend we were expecting to have a relatively quiet one with no guests due for the weekend, however, that was soon to change. 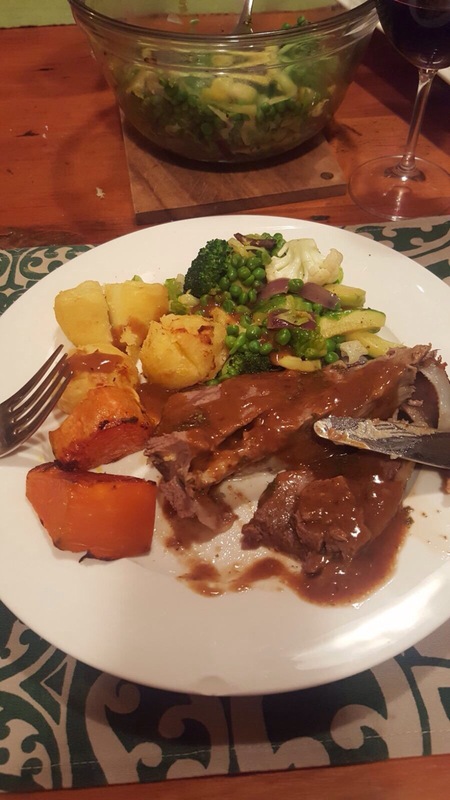 On Saturday evening we were quietly enjoying dinner with Grant whilst waiting for the rugby to start when I got a cheeky text from my brother John asking what was for dinner tomorrow night as he and his partner Jude were thinking coming to stay! Sure enough they arrived on Sunday afternoon, quickly settled in and then went for a quick tour around the area. 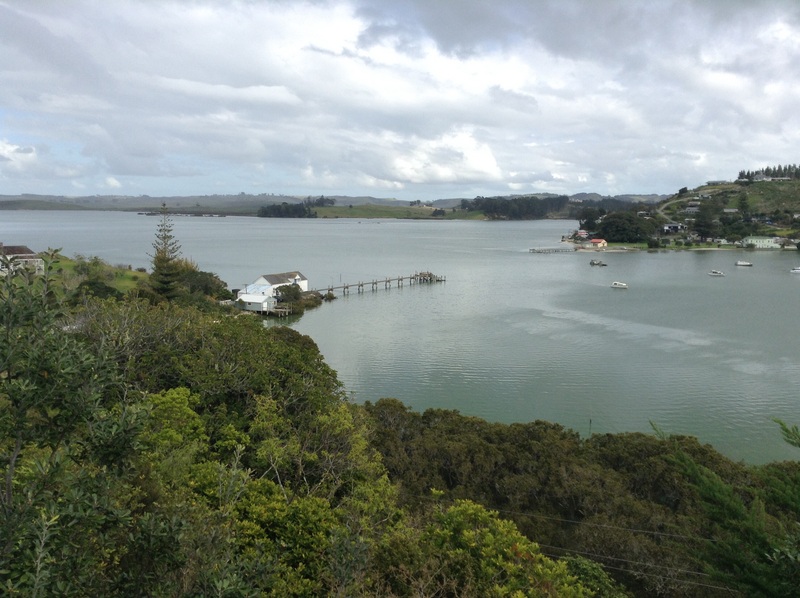 That’s them across the harbour at Pahi….can you see them? No, we couldn’t really either until we got the binoculars out. Here’s a closer view, you can just make out their grey car parked near the end of the wharf! It was great to catch up with them and all their news, even though we do keep in contact regularly via a monthly family email, it’s always nice to meet up in person. We had another visitor this week as well, this cheeky fellow came and sat on the rail just outside the kitchen. We are sure he was eyeing up all the skinks that bask on the warm concrete during the day. The hens have been keeping us in good supply with eggs and we thought that we had a good lot of ducklings hatched with 12 ducklings swimming on the pond, although at the next count it was only 10. But what do you call a group of ducklings? A clutch? A flock? Well, according to Mr Google, he tells me that ducks in flight are called a flock, ducks on land are a brace or balding (I think I will stick to calling them a brace as balding sounds …..well, just bad!). And ducks on the water are called a raft, a team or a paddling. Who knew? So here is a picture of a paddling of ducklings. However, today we discovered that there are actually three distinct groups of ducklings in, on and around the pond ranging in size from very new to a few weeks old with each brace numbering around 10 which means 30 ducklings in total. That’s an awful lot of ducks! I tried to get a picture of them, here are some of them on the bank, can you spot them? They are hiding on the bank under the shadow of the cabbage tree nearest the pond. A closer view, there are the two groups here but the tiny newly hatched ones are hiding under a flax bush. They will be a nice surprise for Jacky & Chris on their return. As well, there are a pair of herons nesting in one of the macrocarpa trees, and the tuis, wood pigeons and rosellas have been very active over the last week or two as well, anyone would think that it is spring. Meanwhile we are busy making lists of things we need to get done before we leave, like making sure all our affairs are in order and up to date, inform those that need to know that we are heading away, getting prescriptions sorted, make lists of what we need from the van to pack, oh and have we got suitcases suitable for the trip?, money is organised, passports, insurance, travel plans are all done, the van is sorted for whilst we are away so hopefully we have thought of most things. After a bit of a fright the other week when it was pointed out to me that I had misread the date and time of our flight 😳 (Well, it is easy enough to do isn’t it?). I read that our flight departed at 0055 on Wednesday so I just had it in my head that we left Wednesday night just after midnight ……..oops, it actually means Tuesday night check in for an early hour departure on Wednesday morning NOT Wednesday night. I have checked and rechecked the tickets to make sure we will be at the airport on the right day at the right time, now we just have to hope that the air fuel situation does not impact us to badly. Keep your fingers crossed folks! The weekend was made up of the boys playing on swings, building huts, walking down to the wharf with Poppi and helping Aunty Bernice make Bao buns for dinner on Saturday night. 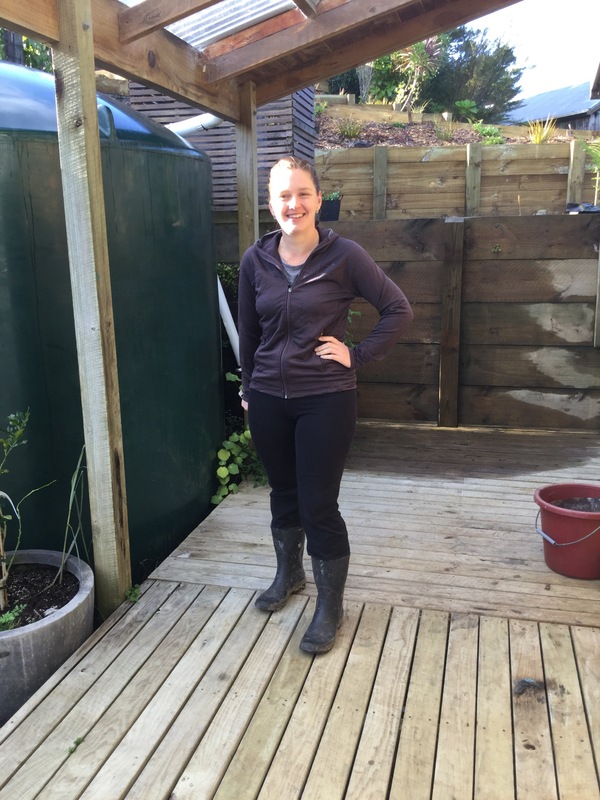 The hens were repeatedly checked throughout the day and collecting warm eggs was the main achievement, a soak in the spa after all that running around was also enjoyed. 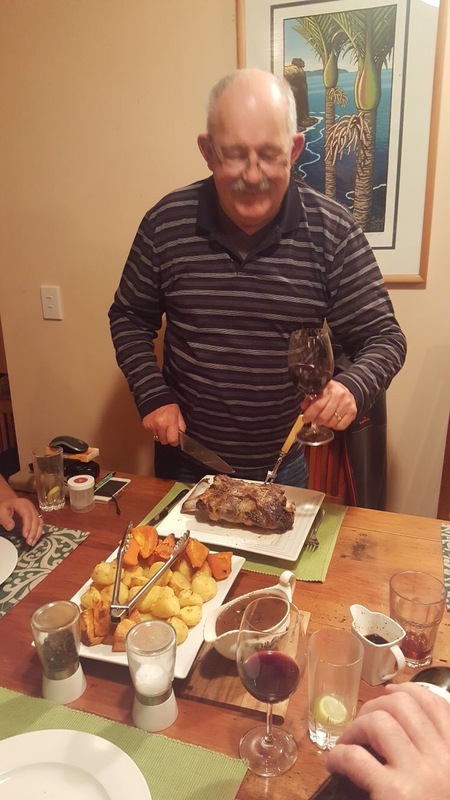 One of the locals, Grant, who we usually have over for dinner most weekends, braved the noise and three inquisitive boys and joined us for dinner and rugby watching on Saturday night. Asher had helped me make the Bao buns to go with the crispy pork belly and Asian style slaw for dinner which went down very well. Asher impressed us all as he managed to down 7 of the buns, an impressive effort as the rest of us struggled with 3 or 4!! The weather was mainly fine although we did have some wind, rain, hail, thunder and lightening, you could say a little bit of everything. We had hail and wind on Saturday afternoon, with the wind pushing the hail so it appeared to not only be coming in horizontally but at one stage it appeared to be going uphill! The thunder bolts shook the house and rattled windows making it all rather exciting, especially when the power went out. Not only did the power go out once before being quickly restored, but it went out twice, then three times, necessitating finding the candle stash which luckily Chris had shown us where they were easily accessed, put in a handy place for exactly this reason. Fortunately dinner was cooked and ready to go and with just the buns to steam which we could do with the power out as the hob is gas. Luckily the power was restored in time for us all to be able to watch the All Blacks game on the big screen, although we did have a plan B in place. You see our internet modem can be powered by 12v so we thought we could plug that into the car cigarette lighter and then watch the game live streamed on our iPads. But as I said, the power was restored in time for the start of the game so plan B was shelved. Everyone left by mid afternoon Sunday and our peace & quiet was restored for another week. As of today, Friday, we have just one week left housesitting, then it will be the mad rush to get ourselves sorted before we are off on our next adventure. Whilst we have been housesitting, we have had the opportunity to have a number of our friends come to stay with us. And yes, we have approval of the home owners Jacky & Chris to have our friends and family to stay. Over the past few weeks we have had lots of friends come to stay, it’s almost been like running a Lodge!! We have mentioned previously that we had Pat & Sue visit for a few days. It was a very relaxing time spent playing cards, rummikub and doing jigsaws. After Pat & Sue left, friends from our Tokoroa days came to stay. We have known Wade & Lindsay for a long time, as in since before marriage, children and life took over. It has been great having them to stay and catching up on each other’s news. They were just into their third night with us and we were having such a lovely relaxing time with them when Lindsay got a phone call from France which was to cut short their stay. Her younger brother and best mate Bruce had suddenly collapsed and died at his home near Toulouse. We were/are in shock. It was a quick pack up of all their gear, phone calls made to family, flights were getting sorted, quickly feed them before they hopped into their car for the evening drive to their home in Hamilton. All done within an hour or so, they were soon on their way to collect what they needed and get a bit of sleep before they flew out to France. We wished them safe travels and our sincere condolences to them and their family at this stressful time. Bruce will be sorely missed. A day or so later friends Skip & Mindy came to stay for the weekend. We met Skip & Mindy at Shakespear as they are very good volunteers on the park, helping out every Tuesday on Volunteer day as well as many other days. This last week or two has seen them helping out with docking of lambs at Shakespear and at least two of the other Regional Parks. They are an amazing couple and we really enjoy their company so it was lovely that they could come up and stay for a couple of days R&R. Skip, Mindy and Roy sorting out puzzle pieces. Next we had Ron & Janet for the weekend. Now these folk are some looooooong time friends, as in Roy & Janet started school together as 5 year olds – just a couple of years ago! And Ron & Janet spent a lot of their teenage years at Roy’s parents place where they all spent quite a bit of time together socialising and generally having a good time along with a few others whom Roy is still in contact with. Roy was also best man at Ron & Jan’s wedding, long before I came upon the scene. 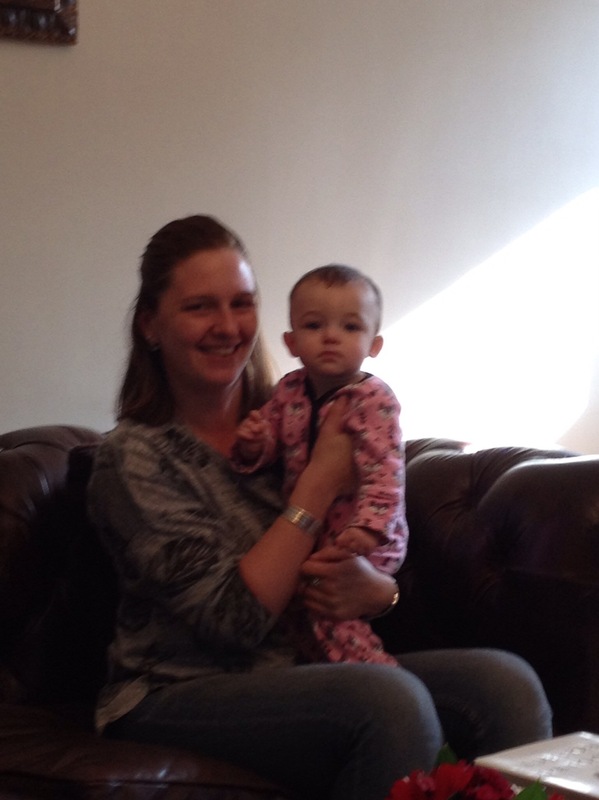 This weekend we are due more visitors…..more on them in the next blog. Housesitting means we have settled into a bit of a daily routine when we do not have visitors. Roy gets up early as is his usual pattern, that usually means somewhere anytime from 4am onwards, some days it may be even earlier. However, I am not an early riser, I wake at a later hour and would rather stay in bed, read the news, do a crossword and rise for my shower and breakfast once the sun has come up and has started to warm up the day a little. Then the days usual chores are done; dishes, washing, feed the chooks, check the sheep, sort out what’s on the menu for the day. 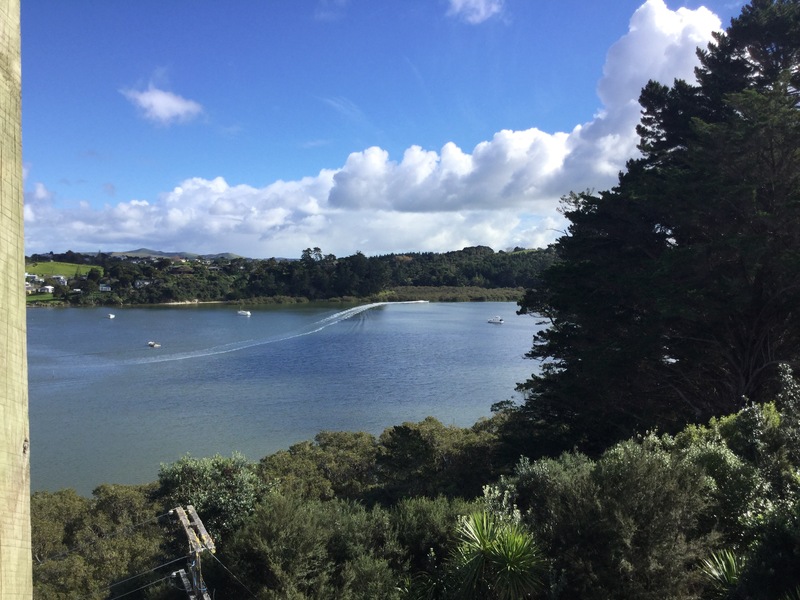 Sometimes we have to venture into Maungataroto to do a bit of shopping, or we have visitors who pop by for a coffee and if they are lucky they may even get a scone or a muffin. We are not into watching TV these days, in fact we only turned it on for the first time for the rugby on Saturday night. But we have been doing a few jigsaws to keep us occupied, we pick them up from the local second hand shops, do the puzzles and then return them to the shop always noting if there are any pieces missing. Of the puzzles we have done so far, only one had all of its pieces, however, we do have three extra pieces that we hope that we may, one of these days, stumble along a puzzle to put them back into their rightful place. In fact we have just completed another puzzle and we were able to put one of the extra pieces into its rightful place. some of the completed puzzles. The tide comes in and out throughout the day and the view is always a little different. 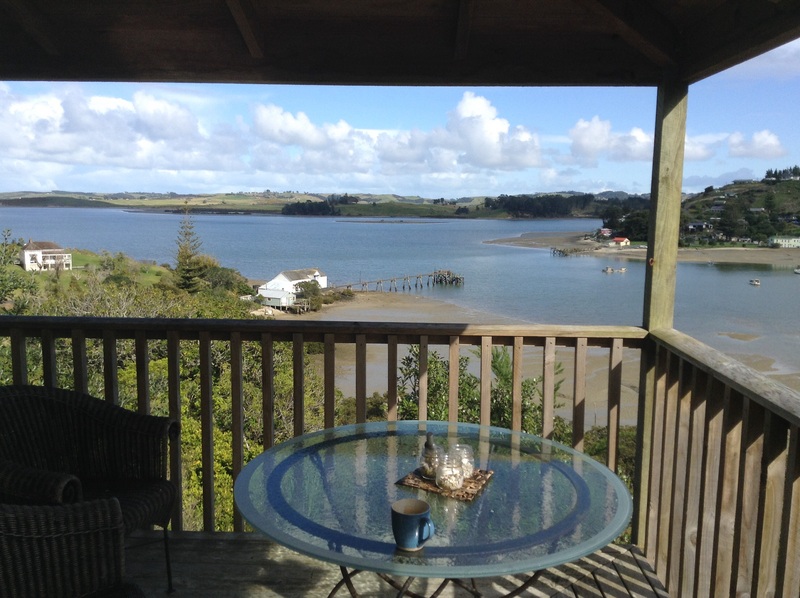 This is the view from the deck with the tide out, the remains of an abandoned oyster farm can be seen at low tide. Fishermen go out in their boats and return later in the day with their catch and we watch to see how successful they have been. The end of the day routine usually end thus; dinner, dishes, then a soak in the spa, gazing at the stars trying to spot a satellite or a shooting star, such a nice way to end the day before heading to bed. It’s been nearly a week since we arrived at Whakapirau to take up our house sitting duties with the handover taking place last Sunday. 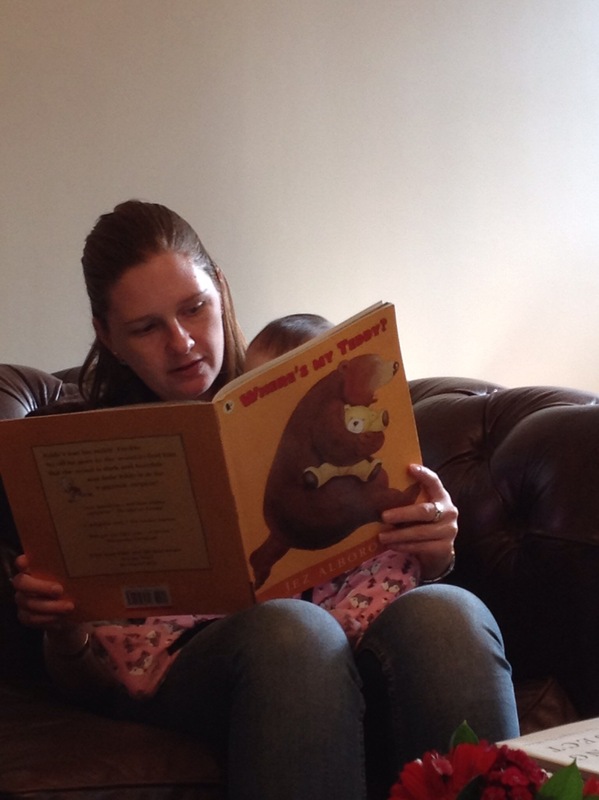 We quickly settled into some semblance of routine before our first guests arrived. Pat & Sue arrived on Tuesday for a few days stay, they are fellow motorhomers whom we have travelled with over many months the past few years. This year they have wintered over in Kaiteriteri so it was lovely that they flew up to join us for a few days of catch up. Of course I neglected to take a single picture of us together, I did try one evening when we were playing cards but my attempt at selfies failed yet again, I have figured it is because my arms are too short, and no, I shall not be investing in a selfie stick any day soon. So you will have to be content with a picture of the view from the deck. 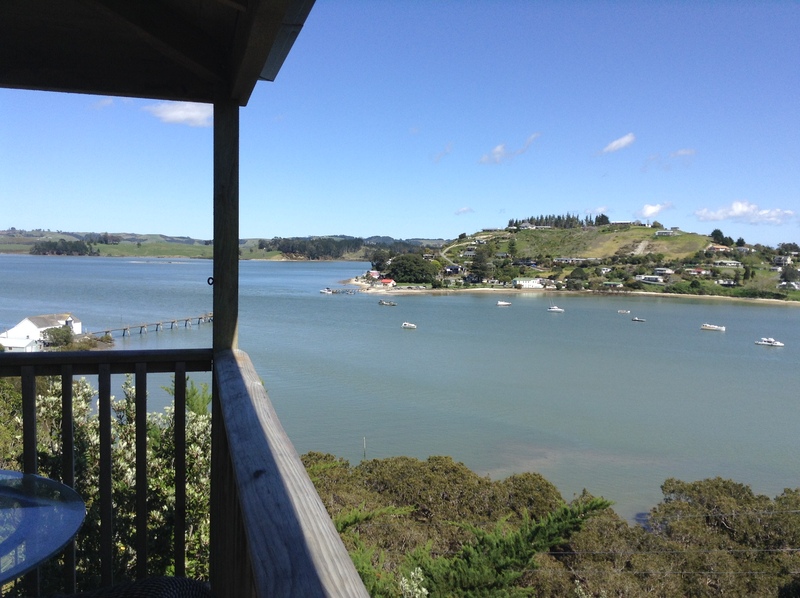 view from the deck looking across to Pahi. We really enjoyed their company especially the many games of cards (girls reign supreme) and getting us back into doing jigsaws which is always a little difficult in a motorhome with lack of space in which to spread out the jigsaw pieces. So far we have done a couple that we have picked up at the second hand store which I shall be returning to in the next few days to swap over the Puzzles. We did not get up to much, mainly spending our time catching up interspersed with the occasional bit of farm tending i.e. herding escaped sheep back into their paddock, feeding the hens and collecting eggs, sharing plenty of good food as well as imbibing in the odd vino. All too soon it was time for Pat & Sue to return south and they left on Saturday. We have more guests arriving today but more on them later. In between we have been to evening drinks with the locals at the beach and had one of the locals round for dinner and others for morning tea. All in all quite a social time. We spent a good hour or two wandering through all the exhibits. 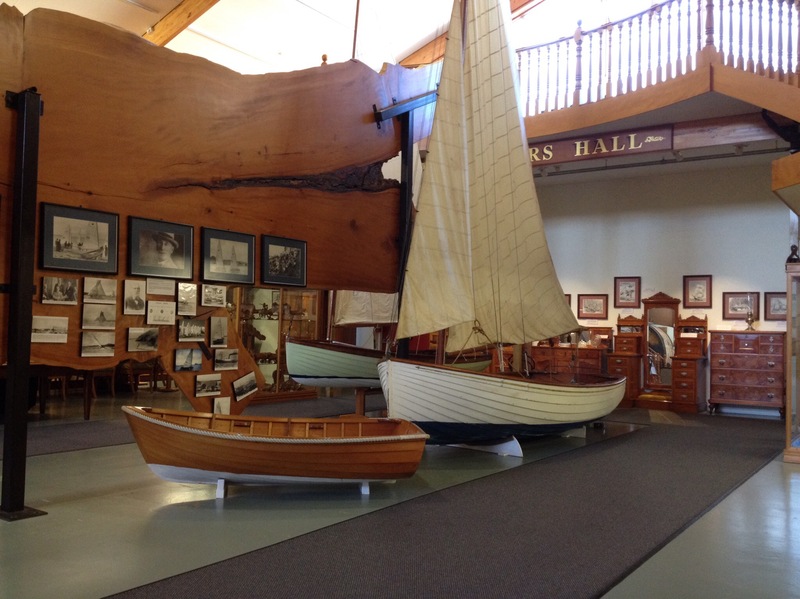 Here are a couple of small sailing boats built of kauri, with a single large plank of timber in the background which stretched the length of the hall. 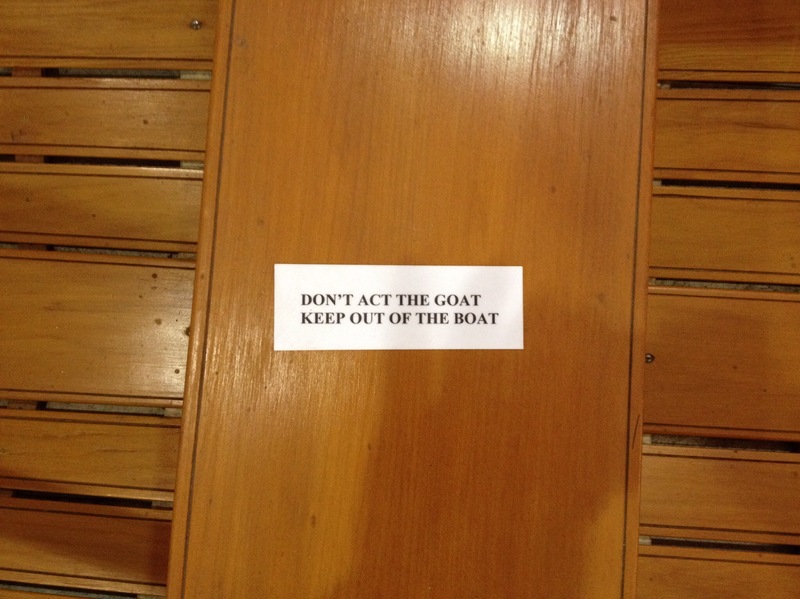 I was amused to see the following sign inside one of the small sailing dinghys. 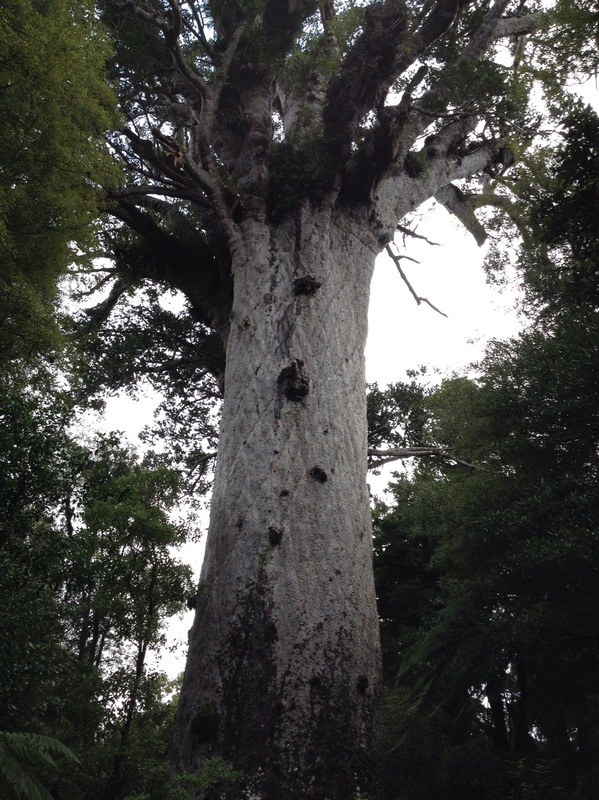 From there we headed to Dargaville and then onto the Waipoua Forest to see Tāne Mahuta, one of the largest living Kauri trees. 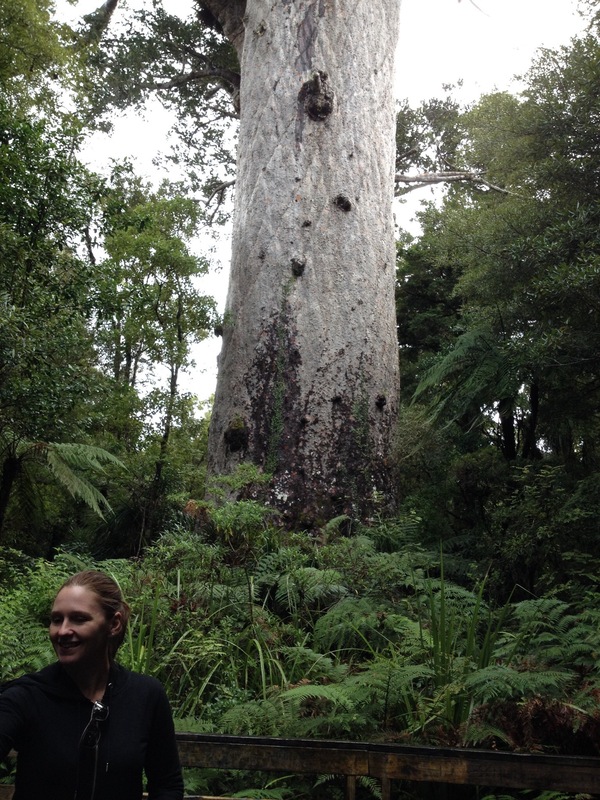 Tāne Mahuta is a giant kauri tree (Agathis australis), its age is unknown but is estimated to be between 1,250 and 2,500 years. Its Māori name means “Lord of the Forest”. It’s vital statistics are as follows: Trunk girth	13.77 m (45.2 ft), Trunk height	17.68 m (58.0 ft), Total height	51.2 m (168 ft), Trunk volume	244.5 m3 (8,630 cu ft). Total volume	516.7 m3 (18,250 cu ft). Alex in front of the tree. A local Maori guide who happened to be there told us that many many years ago when he was assisting to build a track to the tree, 11 men held hands with arms outstretched to surround the tree. He also told me that there is an even larger tree but that it is is another part of the forest and a long walk to find it. We will not be endeavouring to find it this time, besides the heavens opened just as we completed the visit to this tree. 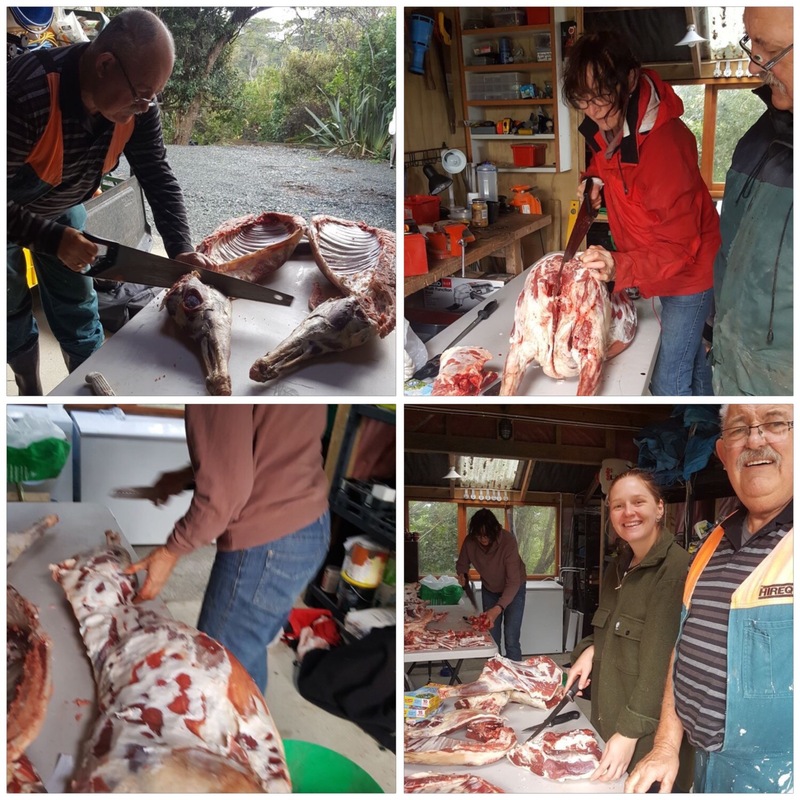 Another day, Mike the friendly local who did the killing execution bumping off processing of the sheep the other day, offered to take Alex for a jet boat ride around the upper reaches of the Kaipara harbour. That’s them zooming off across the other side of the harbour, viewed from the deck. It was time to catch up with Simon, Anita and Maria, Alex had not met Maria so it was a lovely morning spent with them and catching up with all their news, and to have some time with them. From there we headed to Steve & Leslie’s for a bit of a get together with them and their family and to have lunch. It was a bit of a kiwi themed lunch with all the old time favourites and treats. And for some reason I forgot to take a single picture but it was lovely for Alex to catch up with her cousins and their children. She wore the boots to help Jacky, Roy and friend Mike kill murder prepare a couple of sheep for the table and freezer. 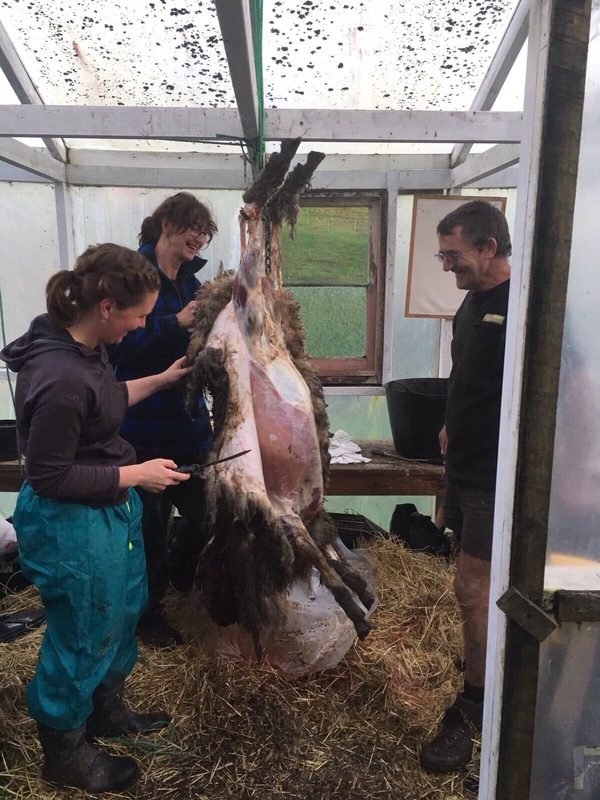 Alex, Jacky and Mike skinning the sheep. Then a day or so later it was time to cut up the beasts. And later that evening, guess what was for dinner? And damn delicious it was too! Back to the van on Saturday after Jacky & Chris arrived home on Friday. Just as pleased as they were to be back to their home, we were just as pleased to return to ours. And not only that, the weather has decided to come right with the blue skies and warm sunshine arriving although I do have to admit that the evenings and mornings are still a little chilly. It seems that not only did we put the clocks forward, we somehow flicked the switch for nice weather. This was the view at Whakapirau when we left, warm and sunny and showing off its glorious best. We returned to the van which had been in storage at Uretiti, and we moved into a camping place by the beach access where we will remain for the rest of this week whilst we get everything back into order as well as put away that suitcase full of purchases I made from IKEA in Melbourne. Oh, have I not mentioned my three forays into IKEA? Perhaps I will come clean about those purchases at a later date! Now we wait for the wind to swing to a favourable quarter so we can get a bit of fishing in, let’s just hope that the weather continues to be as glorious as it has been the past few days. 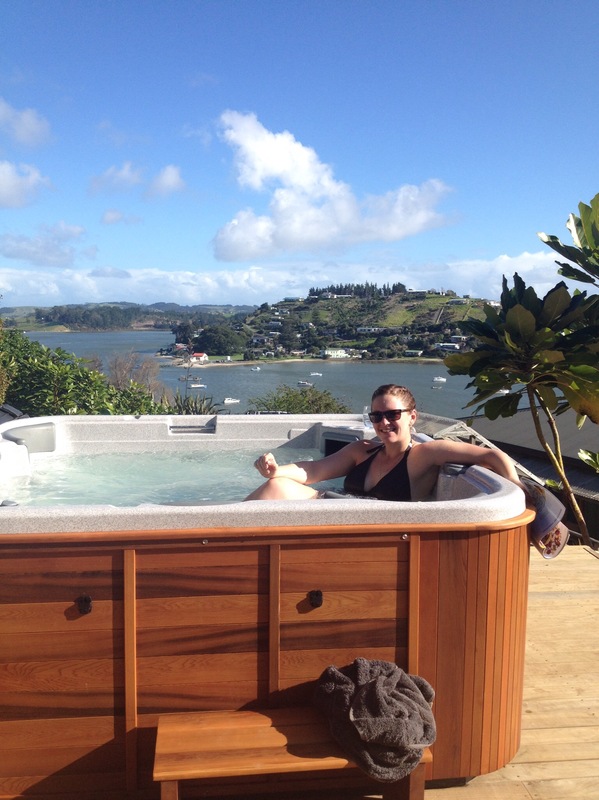 Ron & Jan joined us at Whakapirau for the weekend. Now this friendship goes back quite a number of years, as Roy and Janet started school together just a few years ago at Cockle Bay and they have kept the friendship going for over 65 years!!! We attended their 50th wedding anniversary at the beginning of the year which you can read about here. I forgot to take any pictures as we were too busy catching up and doing far more important things. It was a lovely weekend, the weather wasn’t all that wonderful and the netball wasn’t much better but we managed to keep ourselves well entertained playing cards most of the weekend. Our game of choice is Samba, a three pack Canasta style of game, which we all really enjoy playing except when some people seem to get dealt complete Sambas (I did leave the table at that point …..hmmmm?!) or a proliferation of Jokers but in any case it was all great fun and hopefully we can do it all again soon. The rest of our time here at Whakapirau has been spent pottering around doing the odd job here and there, and generally keeping out of mischief. Roy even went fishing off the wharf the other day. If you click on the photo below and zoom in, you may be able to make out Roy at the end of the wharf. We are about to hand over the reigns to our housesitting duties as we have sub contracted out our job to Pat & Sue (with the blessing of Jacky & Chris) as Roy & I are off to Melbourne for a bit of a holiday. I know, we lead such stressful lives that we need a holiday but someone has to do it! Have we got your attention?? 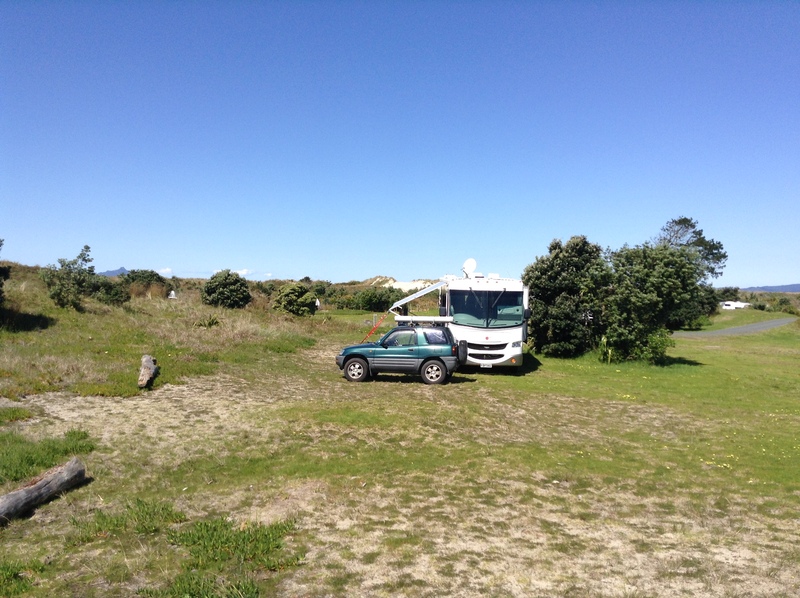 This is our home for the next six or seven weeks whilst we housesit in Whakapirau on the Kaipara Harbour for Jacky & Chris. It’s lovely to be here and enjoy all the “luxuries” of being in a house wherr we don’t have to watch battery levels and power consumption, nor water consumption or waste water levels. 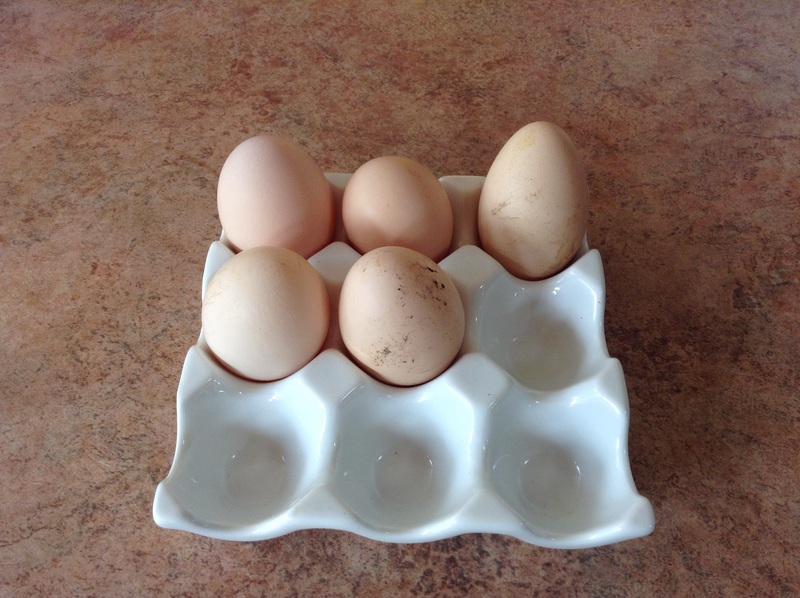 We do have some responsibilities whilst here though, as well as the cat to look after we also have chooks to mind and this morning (our first morning) they rewarded us with 5 eggs – a record apparently! A slight variation in sizes of eggs. 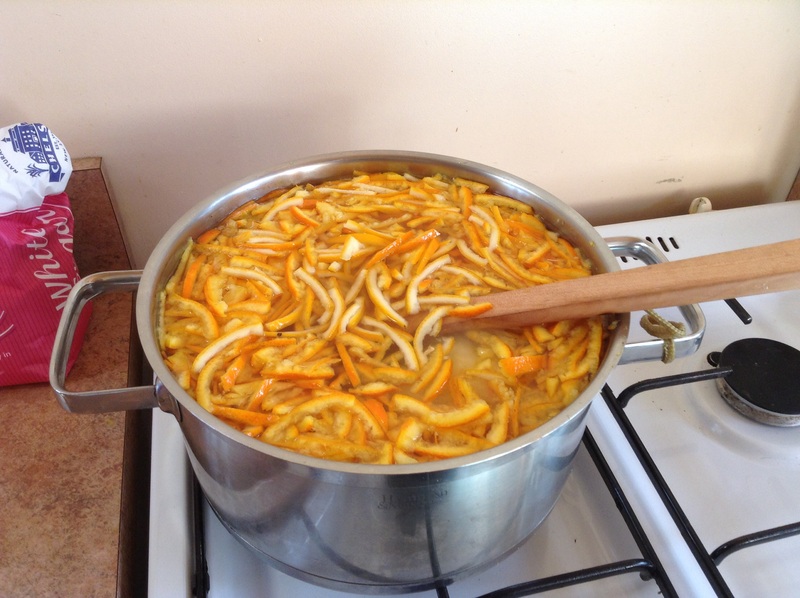 Tomorrow it will be cooked up and bottled ready for eating later.